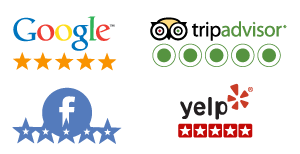 Anyone can rent a condo or motel, you can Rent the Weminuche Wilderness! Have a wedding no one will ever forget! 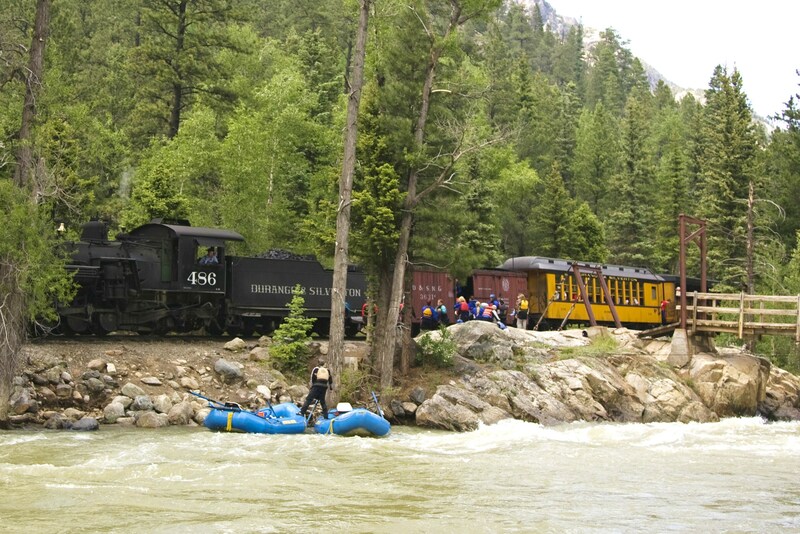 (1) Ride an 1880 steam train from Durango to our wilderness camp. The train winds through the Animas Valley north of Durango into the spectacular Rockwood Gorge on into the heart of the Weminuche Wilderness and Camp Needleton. Load the train’s box car with all your goodies for camp and then enjoy the ride. 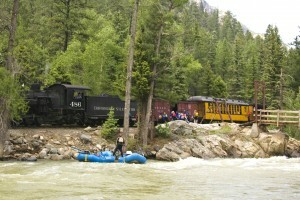 Train tickets for passenger and/or freight can be arranged through Mountain Waters Rafting and is an additional cost to the camp rental. (2) Hike the Purgatory Trail #511 5.5 miles to the Animas River. From the river follow the Animas River Trail #675 6.7 miles north to Needle Creek and Mountain Waters Camp Needleton. 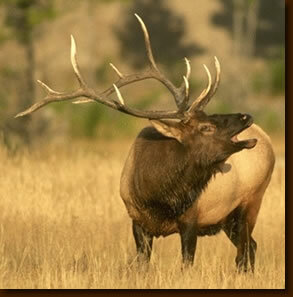 There is excellent birding, wildlife habitat, fishing and spectacular 14,000 ft. peaks on your walk to Camp Needleton. Arrange to have the train carry everything to the Needleton Train stop for you so you can make the hike with just a day pack! (3) Float the mighty Upper Animas River from Silverton, CO. The camp is at mile 12, the Needleton Bridge. Maps area available here, or come with the pros, Mountain Waters Rafting! Once in camp a Mountain Waters employee/zen master/grand story teller and jack of all trades will orient you to the area, go over leave no trace ethics, and show you around our camp. You are now poised on the edge of the largest wilderness in the State of Colorado, The Weminuche Wilderness. The camp includes two large and covered A-Frames, one for the kitchen and another that 24 could sleep under. Other amenities include the most scenic bathroom you will ever use, campfire circle area, horseshoe pit, dry bar, shaving station, dish line and riverside boat parking. This place is pure magic! Situated in the Weminuche Wilderness of the San Juan Mountains, the Needleton Wilderness Camp is the ideal drop camp for your fall elk hunting expedition. Fully equipped covered kitchen with grills, propane, etc. Train Tickets and food purchase are not included with the camp rental. We will be happy to purchase your necessary train tickets and shop for you and add the cost to your bill. The Durango & Silverton Narrow Gauge Railroad will haul your gear and food to within 1/2 mile of camp for a minimal freight charge.